As one of New Hampshire’s premiere cultural hot-spots, Keene is chalk full of exciting and unqiue ways to spend an afternoon. Keene’s inviting combination of history, culture and nature makes it one of the most visited towns in the Cheshire county. From the country’s most climbed mountain, to one of the oldest tavern’s to a robust theatre, Keene has something for everyone. The Cathedral of the Pines is a national memorial constructed to honor all of our countries Veterans and current soldiers. The beautiful natural sanctuary is open to the public May through October. 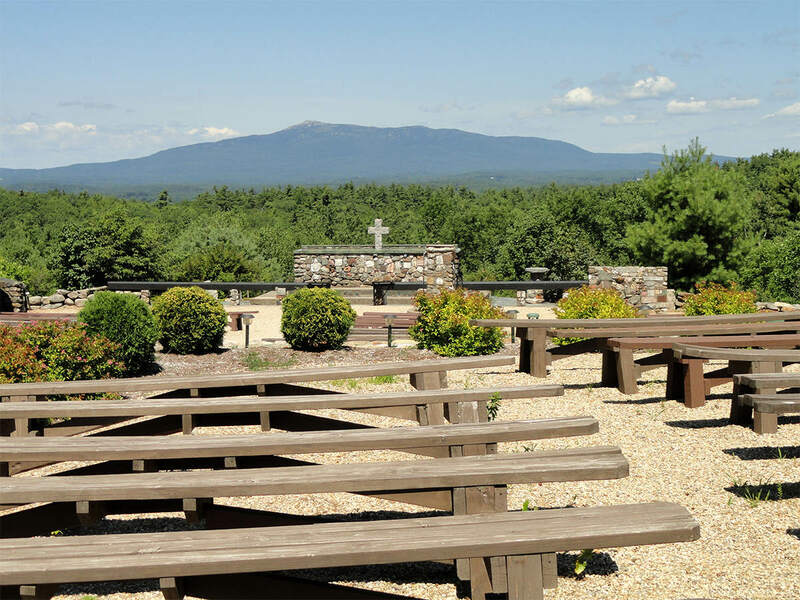 It’s situated atop 236 acres of hilly woods, punctuated by the picturesque view of The Grand Mounts Monadnock jutting above the foliage. The Cathedral was founded by Sibyl and Doublas Sloane in 1945 as a memorial to the lives lost in the second World war. They hoped the open air cathedral without walls would have no barriers of religion. Today, with its many hiking trails, stunning beauty, and unparalleled tranquility The Cathedral acts as the most see spot for reflection and inspiration. 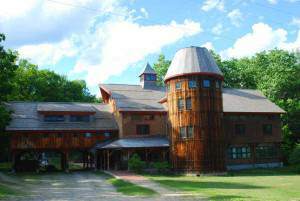 The Redfern Arts Center At Keene State College is multi-theater regional performing arts center that features diverse and exciting acts ranging from classic films and plays you’d be familiar with to eclectic dance and music acts that would expand your cultural horizons. Located just off Main Street in Keene, The Redfern is easy to find and a sight to behold in and of itself. Overlooking Brickyard pond, with awe-inspiring contemporary architecture, the arts center is a sensational structure to experience. And with that sort of inherent beauty and acts that are guaranteed to enrapture audiences, The Redfern Arts Center is a must for all arts lovers out there. Stonewall Farm is only working dairy farm and educational center in the region open to the public, for free. The farm has something for everyone. They have a store on the grounds that sells all of the farm’s wonderful products, sleigh rides, snowshoeing, hiking, biking, weddings and host of other activities. Stonewall is set off the beaten path, within a beautiful scenic valley. The sprawling campus is packed with pastures, trails, woodlands, fields, the farm it self and much more. Simply, Stonewall is a great day trip for the foodie in your group, the nature lover or the outdoors enthusiast. Hannah Grimes Marketplace is one of Keene’s most unique attractions. From the outside, Hannah Grimes may appear to be a regular store front, but what makes Hannah Grimes different is their products and where they come from. Hannah Grimes only sells locally made products and foods. The quality of the products will astound you and the experience of walking around an entire storefront filled with only things made within the area is visceral. Hannah Grimes is named after a local farmer by the same name born in 1776. Grimes married William Stoddard Buckminster the two oppened the Buckminister farm producing, selling and bartering all locally made products. Two hundred and twenty years after Hannah Grimes was born, Hannah Grimes Marketplace opened on Main Street in Keene to continue the tradition of small and local business. The Horatio Colony House Museum is one of New England’s oldest standing houses. The house features all of its original, exquisite furnishings and decorative arts, all placed exactly as they were when the family lived there. This concentration on history makes walking into the Horatio Colony House Museum like taking a step directly into the past. Beyond the house, the plot of land has over 600 acres that are open to the public for hiking and exploring. The House was built by Abel Blake in 1806. It would eventually become the home of Horatio Colony II one of the descendants of Keene’s prominent industrial families, which is how it got its name. The Museum though is great visit for the historical buff in the group of people interested in architecture. The term “monadnock” is used to refer to a mountain that stands above all of the other peaks in the area. As a monadnock, Mount Monadnock’s view is pristine and beautiful. It’s a climb that everyone can get behind and a great overall time. To find out more about trails and weather check here: http://monadnocktrails.com/. And remember to hike safely!